Are You The Leader God is Calling? For three years, Jesus poured himself into a core group of 12 people. These guys had lived ordinary lives, but, after being called, became greater through faith and service, proclaiming a new era through the gospel. Young King David lived as a sheep herder, but was anointed (blessed by God) by the priest and Judge Samuel, and through God’s calling, he became the renowned and beloved king of Israel. His son was considered the wisest man in the world. Going further back in time, after the time of Moses and Joshua had passed, and judges would rule over Israel, there was a time of warfare and oppression with no one able to bring about victory over their enemies. A young man named Gideon received a messenger from God and soon he would lead his people to major military victories. He mentioned how he was a weak part of a clan that was least of his tribe, and yet he was used to lead a great campaign for God’s work. Leadership is a hard thing, and Christian leadership even more so. Leadership in the faith community means putting on the mind of Christ, having vision, and being able to take a group of people with you toward a deeper and more holy discipleship in God’s ways. If we relied on the news to tell us what leaders of faith are up to, it would seem that the bar for faith leadership is very low. That’s unfortunate, because for the myriad people who have given their lives to their calling, whether it is as a pastor, missionary, theologian, worship leader, youth pastor or whatever, the majority have lived up to the high standards held up in the third chapter of 1 Timothy, telling us that overseers of the church are not to be greedy; they are to be self-controlled, hospitable, able to teach and be mature in faith. They are to be bold and dignified in their calling of faith in manner and conduct. Those who fail but are humble are not bad people, though it is regrettable that so many have used ministry as a way to lord their own plans and visions. But the ideal is set high, so when we see a person who is false, they can be confronted. 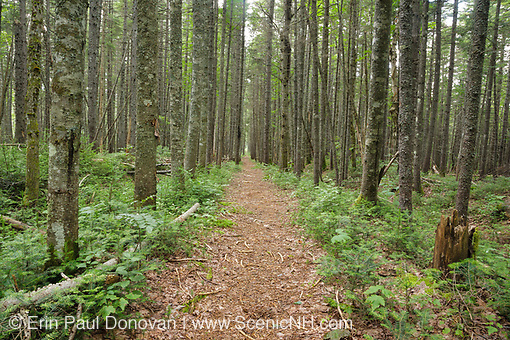 In testing leadership, there is a trinity of calling that can illuminate the path. 1. 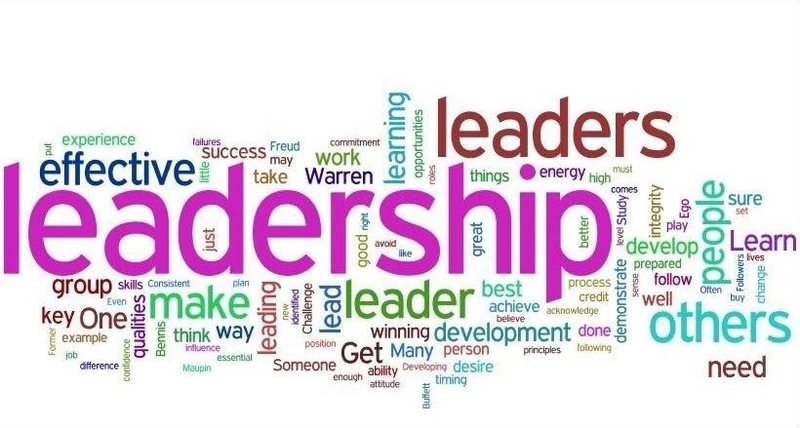 Is a person feeling the call to leadership and feeling they have the gifts for it? 2. Has God placed a burden on the heart for others so they give of themselves to the work? 3. Has the community called them and confirmed the gifts of the leader, and that these gifts are needed and affirmed? The community can care for and test the leader, building a bond together as the work of God is done, and the good news is spread. In our own youth group there are those who are beginning to feel the pangs toward Christian leadership. Each summer we have college aged interns and volunteers who explore ministry and test whether God is really giving them a passion to appeal to the hearts of people and care for the spirit. I am praying for them as they step out in faith and begin to serve. We are in a time of great transition, and many are searching for good leaders to do the work of ministry together. As the world contemplates the future of faith and its place in society, as the Catholic church prays and convenes in the selection of a new Holy See, as our conferences and denominations appoint pastors, and as each local church calls leaders to shepherd and teach, let us be full of prayer for the spirit of all leadership in all places. God’s spirit is moving, faith is not stagnant, and leadership refreshes itself for each generation. Are your eyes open for new works of grace? Are you the leader God is calling? How will your work find purpose and bring life? How will you respond? Tim Elmore (@TimElmore on Twitter) is a great voice in developing leaders in the Millenial generation. I was tipped off to his books when I visited USCB while talking about starting a Methodist fellowship there. The Student Life Coordinator swore by his work and wanted to bring him to campus. I looked into it and have found him to be dead on. If you haven’t read one of his books, google his name and check him out. Some really good material. I’ve followed him on Twitter for about a year. You won’t regret it. To me, this is sort of a metaphor for really thinking something through. Back in the day, you put a board on your feet, latched up and went out. If you got hammered in an avalanche on a risk taking dive, you had to be rescued. Kind of like a surfer taking on a 75 foot wave – if you survive, awesome! But this snowboarder had a backup plan that worked. The balloon kept her above the snow and let her get up and go. Maybe a bit sore, but easily alive and ready for the next risk. What risk taking do you do, and how well have you thought out your rescue plan? There have been a few embarrassments over the years for the US Military, but the recent video of young marines in Afghanistan urinating on the bodies of dead Taliban fighters has me reeling in utter disgust. As a citizen of the United States, this harms every one of us, opens the world up to more conflict, and burns the bridges of authenticity and goodness that the majority of our leaders and people have been trying to accomplish! It showcases how these young men have no value for the dignity of all persons. If one desires to have positive outcomes in life, if one wants to live in community with people in our own neighborhoods and in the world, if a person wants to have true respect for anyone other than oneself – recognizing that all humans are children of God, and that even our enemies (especially after death) deserve to be given back to God and given the treatment we would want. In the Old Testament, King David had people in his court who disagreed with how well he treated his enemies. Then King David had a man unethically and despicably placed at the front of the battle lines to steal the man’s wife. David’s General saw this and from that point forward treated their enemies more brutally and David had lost the authenticity that would have been an argument against doing harm to others. Every time individuals make bad unwise destructive vulgar decisions that obviously devalue the humanity of all persons, we slap our allies and friends in the face who are trying to work with us towards stability and peace in the world. What kind of punishment does this deserve? When they discover who did this, I hope that it makes a statement that this is never okay. I hope that it comes from someone who can keep the military accountable and on their toes with some authority, and I hope that the response comes not just from disgust, but from a deep sense that all human beings who die in battle could be treated with respect and buried without desecration. We would be more than disgusted if it had been the other way around. We are a nation that is both strong, and good. These four or five do not represent the Marines, or us. It is always an impressive feat when a movie delivers amazing production, high quality acting, action, a deep underlying philosophy to undergird the plot AND a deep spiritual underpinning. Two movies, one recent and one older in origin, stick out in my mind as great works that inspire the spiritual person to greater discipline and leadership in one’s own life. 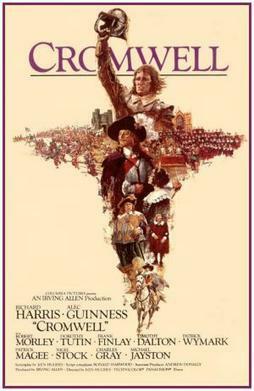 The older movie is Cromwell, 1970, starring Richard Harris and Alec Guinness. The story chronicles Oliver Cromwell’s opposition to a King who does not listen to the will of the people through Parliament. Alec Guinness, as Cromwell, does an amazing job delivering faith filled speeches throughout the film. Not only does his belief inform his leadership of an army rebelling against King Charles’ unjust actions concerning land, and the changes to the Church of England. While Oliver comes off a bit self-righteous at some points according to modern standards, it is nice that he has standards and justifies them. He is also the archetype of the leader who does not want to lead. He is thrust forward by circumstance and despite the desire to retire to a common life, Oliver is thrust into history by great events. Though the movie and its costumes are all 1970’s level, the underlying principles are solid and the acting is superb. The musical score is beautiful as well, full of tones denoting the importance of the time period. For anyone who is persevering in a leadership role and trying to integrate their faith into everyday life – this is highly recommended. And great for retro appeal. Modern movie goers may recognize Alec Guinness as the Emperor at the beginning of the film Gladiator, or the first Dumbledore in the Harry Potter Series. 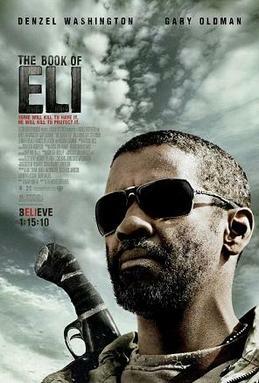 The more recent film is The Book of Eli, 2010 film by the Hughes brothers starring Denzel Washington. The film is about a post-apocalyptic world of the future after a supposedly religious war that ends in nuclear obliteration of civilization. Eli is a man who is traveling west to the California coast, despite warnings that there is nothing out there, to preserve a King James Bible, which he received supernaturally after being lead to it by a spiritual voice. The main antagonist is Carnegie, the leader of a town with a clean water supply and a small military force, who wishes to expand his townships and create a small “kingdom” (my words, not the movies). He is a literate man but is basically a dictator in the tradition of Musselini, Hitler or Stalin. He wishes to have absolute power by any means possible and desires the Bible for the words in order to control the hearts of the people. Having watched this a couple times now, there are many twists and turns – it is incredibly gritty (expect a high level of violence, alluded to cannibalism and basic survival battles). But Eli acts much like one would expect a person of faith to behave. He makes mistakes, but keeps moving. He prays, he teaches others the word of God if he sees their receptivity, and he survives when he needs to. The rise of Eli and the degeneration of those who do evil is a pervasive theme in this movie. For anyone who wishes to watch a film of spiritual perseverance even in times of great evil and survival ethics – this is a film to watch. Both of these films hit me in a deep way. I’ve watched them both several times and find new facets each time. Each time I am inspired and come to it differently (because I have grown a bit and bring more to the interpretation of the film) than before. These are great films to watch on your own, or with a group of theological/philosophical friends who would converse deeply afterwards. A religion and leadership club in college would do well to discuss these films. Enjoy. (1) God has made an amazing Earth. That much water curling and moving with such power really shows off God’s glory. (2) All you leaders or wanna-be leaders out there, look at these surfers taking on this thing. There are contests out there for surfers to get 100 foot waves and they drop in with lines from motor-boats. Surfers go to the arctic to ride frigid waves created by dropping ice cliffs. All this for the pursuit of excellence in surfing and simply the thrill of doing it. Makes me feel like the challenges in my day are a lot less dangerous. What challenges are you taking on? How thrilling is your own personal ride in this life? Push yourself further!